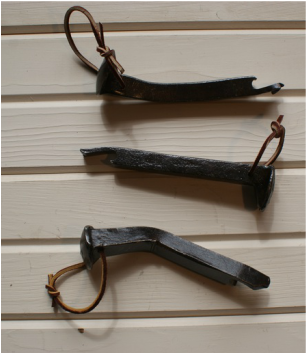 These railway spike bottle openers are unique and made of old railway spikes. They are a great gift for anyone open beer and pop bottles. Each bottle opener is approximately 6.5 inches long and costs $14.00 + HST. 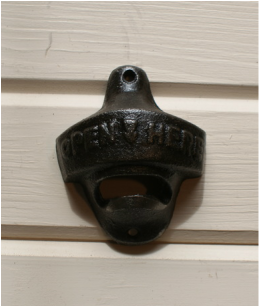 This bottle opener is a wall mount bottle opener and is made of cast iron. It has a rustic iron finish and costs $10.00 + HST. This bottle opener is a wall mount bottle opener made of cast iron. 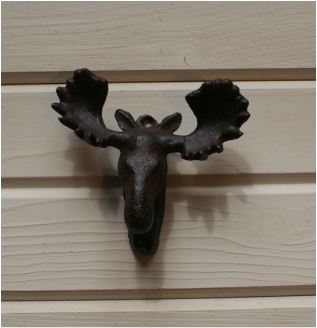 The opener is situated under the moose's chin and the piece has a rustic brown finish. Each moose bottle opener costs $10.00 + HST.